A systematic review that took place in May of 2016 by JAMA Pediatrics focused on overuse in pediatric care. Studies were published that same year that showed old recommendations still being used today that put children at a vulnerable risk. Methods including recommendations for children to consume Pedialyte, antidepressants, inducing deliveries too early instead of waiting for natural labor to kick in, ankle x-rays to look for injuries instead of making sure by hand, and offering hydrolized formulas when there is no evidence they can combat allergies or help with autoimmune diseases. This problem doesn’t stop with just children; doctors can be too rash when dealing with breast cancer patients and offering harsh treatments too soon. Extended chemotherapy treatments in the early stages of breast cancer can be unnecessary and dangerous. These problems can be easily avoided if doctors are more open to evidence-based medicine. Unfortunately, some doctors are oblivious to the helpful best-intentioned groups out there that do hard work for them of carefully analyzing medical-scientific studies. These groups can offer life-saving advice on a wide range of treatments to doctors with little time; why are doctors not taking advantage? Groups such as the Choosing Wisely Foundation which is an initiative of the American Board of intentional Medicine. This organization focuses on the care that physicians commonly employ that they shouldn’t for various reasons. There are many other organizations such as this that are dedicated to ensuring patients are getting adequate treatment. 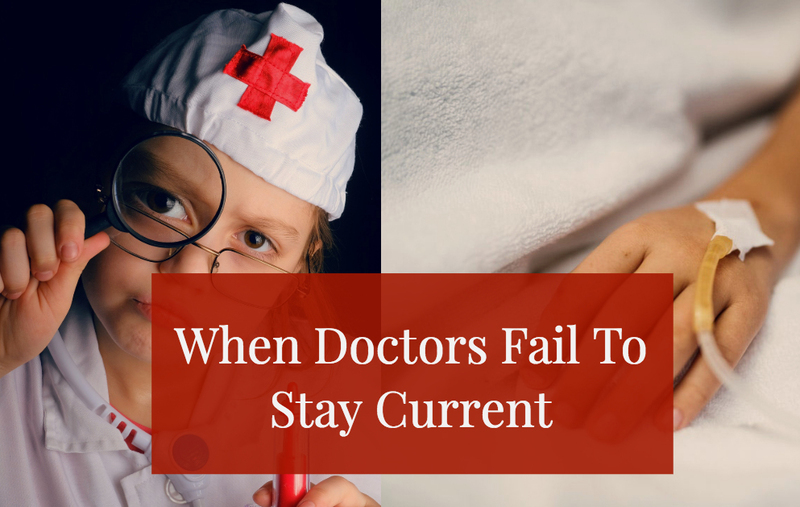 Whether a doctor is unaware that their treatments are outdated or even unscientific, or they are just being stubborn; its no excuse to cause a patient harm when in their care. In some cases, it will be up to informed individuals to step in and encourage alternatives to doctors and to ask for second opinions. It’s important to not be afraid to ask questions, no matter how hard it may be. We understand how much pain and suffering there is due to these injustices in the medical industry – we’ve been there ourselves. And Martin Walker Law wants for you and your family to be served properly in these times of adversity. Contact us today for a free consultation and get help today. We’re here to help at (903) 526-1600.